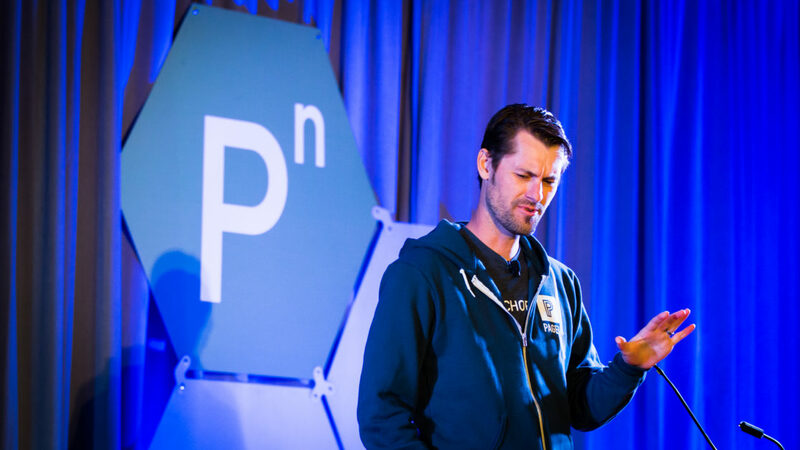 Joshua Strebel — the CEO of Pagely — shares his view of the current state of the WordPress economy, and why he is confident in both its strength and future. 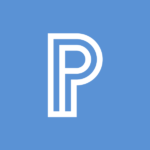 Editor’s Note: This is a guest post by Joshua Strebel, the CEO and co-founder of Pagely. Pagely was one of the first managed WordPress hosts and continues to be a market leader. Josh has some thoughts about the WordPress economy, which I asked him to share here for the Post Status audience. He’s been around for a while, and I think he’s got a pretty good hold on the state of things. I hope you enjoy his commentary. And if you like this post, you’ll also enjoy Post Status Publish. WordPress powers an estimated 28% of all websites which run the gamut of single contributor blogs and simple websites to applications and complex portals. That’s nearly 75 million websites built by anyone from the very beginner to the professional with an extremely advanced level of technical skill. WordPress is both easy to use and graceful in its complex abilities to do just about anything you would need a website to do. There’s also the community behind WordPress, an ecosystem of people around the world with this one thing in common. As an open source community, our entire industry is plugged into every update. We can contribute to testing or code. We have all the power to make sure the WordPress economy stays strong and continues to grow. However, the near constant flow of new entries into an already saturated market is outstripping demand. The WordPress pie overall is still growing but not quick enough to absorb the new sellers entering into the lower third of the market. The new players are typically unable to challenge the dominant players for a significant market share, and the demands and needs of the customers are also moving up the value chain. Yes, some newcomers do disrupt the established WP players, but it is happening with less frequency, and the barrier is ever higher. The companies and brands that have changed the way people live experience low points. Just like the ones we’ve feared will appear in our own industry. But you know these companies well, and they and their economies have persevered. Take the classic example, one of the greatest comeback stories of all time: Apple. Apple defied all odds and went from near bankruptcy to the powerhouse hardware leader it is today with over one billion iPhones currently in use. They lost Steve Jobs and many feared they would lose their focus and tumble downward. Instead they’re the largest and most profitable they’ve ever been. Walk down the streets of New York City or San Francisco and you’ll see brick and mortar shops dedicated to alt-genius-bar services and shattered screen replacement. The Apple economy is strong. Just like Apple, Airbnb almost flopped, but came out on top. It has an ecosystem of its own with tons of offshoot companies that support various aspects of the community, just like WordPress. After near failure Airbnb now supports a community of over 100 million and is valued at over $30 billion. They also face growing pains and — at times — volatility, but companies like this — the ones that fundamentally change the way the world works — aren’t going anywhere. WordPress itself isn’t in danger of a near flop, but these are valuable examples of economies that fared far worse and still made it through. WordPress users span nearly every industry in the world. Publishers, Fortune 500 Companies, Music, Fashion, Tech, Politics, you name it. Like I mentioned above, ~75 million websites use WordPress, and they are published in dozens of languages. WordPress is literally a web that has woven itself through the digital and physical world. While the core strengths of WordPress support the service itself, quality is what supports the economy as a whole. And the fact remains that people are willing to pay for quality. To paint the picture, at Pagely a core aspect of our mission is to bring a flexible, friendly, and first-rate experience to all our customers. In staying true to that high standard of quality we’ve seen substantial year over year revenue growth since 2014. With an ecosystem that strives for and rewards quality, the larger WordPress economy is in a position to keep growing — and continue to take us along with it. Any “economy” will ebb and flow, but when a technology powers 28% of something, it has staying power; WordPress and the ecosystem we’ve built around it isn’t going anywhere, but it is changing. Since 2015 or so, the majors players in each category have been well known, with few exceptions from new entrants claiming significant market share. Those who are doing this are using strategies common in existing markets: Resegmentation based on price, and resegmentation based on a niche strategy. Borrowed from this article, we can identify six signs a market is maturing. Not every point applies completely to our ecosystem, but enough do that I believe we can safely make this call. – Some really innovative things are happening, but they’re around the corner and seem slow to pick up traction. – We pretty much know who the leaders are in every category and the price points they own. Price, brand, and/or channel strategy have supplanted product innovation as key value drivers. – Refining the value proposition to our customers has greater focus at Pagely vs. shipping the latest tech du jour, which is happening just behind the scenes at measured pace. – Not in all cases, there is still a lot of energy being focused on market expansion. The pie is still growing overall, but a higher percentage of that growth is being concentrated among the established leaders who do more than the basics. WordPress is getting easier and easier to use right out of the box. If the majority of the new WordPress users needs are solved on install (via core, bundled plugins, or the hosting platform) then a wide swath of the current ecosystem is going to shrink. It’s like in any industry: the car replaced the horse and the robot replaced the factory worker. What was successful in the New Market phase may not work in the more mature, “Existing Market” phase we are in. I’ve read Chris Lema’s article this week and I’ll try to don’t repeat the comment I did there. You’ve pointed out two things I believe are the biggest strengths in the WordPress economy: it is trusted by big companies/brands and, IMHO the most important, the community. I’ve been using WordPress since 2004. I’ve first started using it as a blog platform and eventually I’ve became a WordPress developer. The truth is that nobody knows what will happen with the WP economy but my biggest bet is on WP REST API. In 2014, while I was working for an agency, I had the opportunity to work in my first mobile app project. I was responsible to develop both the API and admin system to be used by our client and his collaborators. The app was something like Runkeeper and Waze for cycling. The project was a successful and the app worked very well. I’ve also had a talk about this experience at WordCamp Belo Horizonte in 2014. My point is that we need to give some time for the community, and what they will build with the API. I don’t know how long it will take but I really believe this will disrupt the WordPress economy. BTW, currently I’m involved in a WordPress project where we will build a custom dashboard from scratch using the REST API. Let’s see what will happen. Congrats for this amazing article! Great news! Good to know that there is so much confidence! Love the post Josh but I would expect that you and Post Status have a more transparency on the “28% of the web” number often cited freely. “New businesses are constantly being formed around plugins, themes and services built specifically for WordPress, with no signs of stopping. In fact, we’ll continue to find more and more creators of WordPress specific companies, with full time jobs elsewhere, using this as an opportunity to contribute to the community”. Couldn’t agree more with Joshua. We started out as a normal web designing company 2 years back and the number of customers asking for WordPress has gone by almost 20% quarter on quarter. WordPress (if you know how to work your way around it) not just allows you everything in terms of design and flexibility that a normal html page would, but it also makes life much easier with all the plugins for specific needs. Whether it is image compression, enhancing the page speed, reducing response time of the server, helping with content readability, optimizing for SEO or making your website e-commerce ready. These are ALL very important aspects of running an online business. Many of these are an absolute must if you want search engines to notice your website. The science of floating a website and making it search friendly is still pretty new and WordPress definitely makes your journey much easier. The only problem with WordPress, however is constant updates in its core as well as themes and plugins. Besides, one has to be really careful about what plugins they are using. There are developers who are making plugins with the sole purpose of hacking others to get backlinks to their own websites. Its that easy to get backlinks if you have a plugin with a couple hundred downloads.